← 2014 Presidential Romanian elections: Where do we go from here? The challenge of reconstructing a city after the devastation of war far surpasses the act of bringing together its pieces. Never has this been truer than in the ethno-cultural complexity and geo-political density of Bosnia-Herzegovina’s (BiH) capital city of Sarajevo. Words by Bronwyn Kotzen and Sofia Garcia. 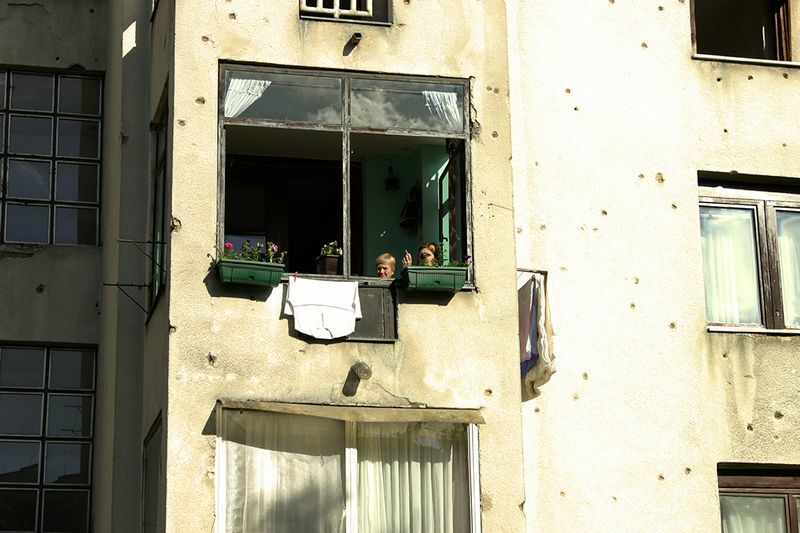 Despite its modest scale, Sarajevo is a city that has been the backdrop to major global events which have irreversibly shaped the world’s history. As LSE professor Fran Tonkiss asserts, this city has been “the proximate trigger for total war at the beginning of the twentieth century; the stage for a late-Cold War Olympics towards its other end; the most visible theatre of a war that was not only regional and ethnic but intra-urban as the century drew to its close”. The narrative of conflict unashamedly bares testament to continually shifting socio-political forces which have produced an urban landscape “disjointed by its history and divided in its present”. The physical form of this persistence and flux extends along the city valley, narrated through the combination of different elements belonging to multiple periods and powers in history. At the urban heart, lies the Ottoman centre; attached to it the Habsburg developed grid and later, the large-scale socialist construction of replicated high-density towers –many of which remain pockmarked by the 1990’s siege. 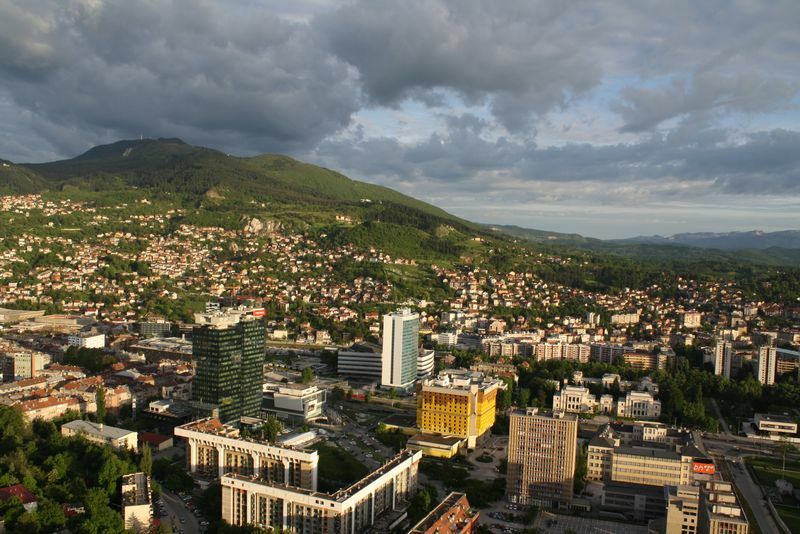 But Sarajevo’s future is not only determined by its historical, post-socialist or post-conflict condition; intensifying changes in global economic trends alongside the most recent chapters include, as Tonkiss indicates, “the new suburbanism of the divided city,…the neo-colonialism of capital investment and cultural intervention from the Gulf and other places in Sarajevo’s non-contiguous ‘region’”. The fact that urban elements have often changed independently of one other, according to different political cycles and economies, and for different reasons, have turned Sarajevo into a tightly-knit tapestry of old and new that hold its asynchronic fragments in place; yet presents a dynamic political, social and spatial reality that constitutes uncertainty in the practice of city-making today. The first idea proposed in this article therefore asserts itself; reconstructing the city and imagining its future, demands much more than the mere act of restoring the mortar and stone to its original shape and place. In a city patterned with different cloths, cuts and forms, a deeper understanding of the spatial fabric and political dyes that have continuously sewn together its urban cloth becomes necessary. 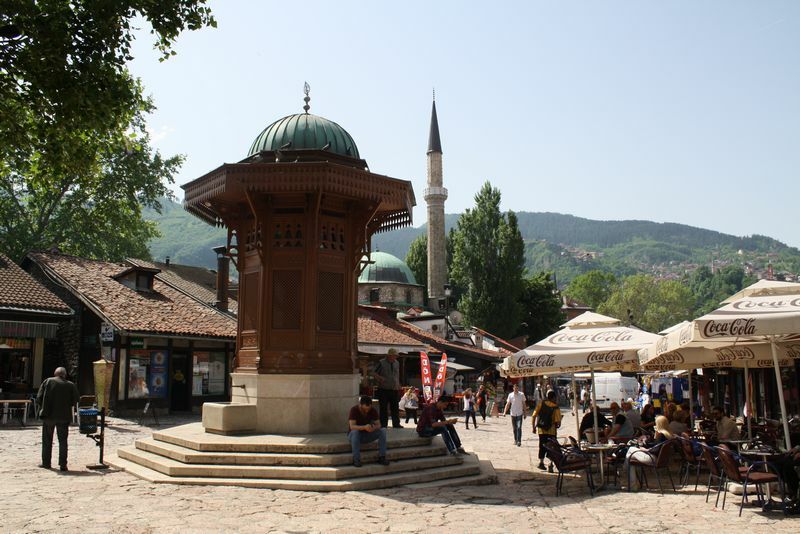 In May 2014, the London School of Economics Cities Programme, together with local Bosnian academic and institutional partners, co-ordinated a research orientated fieldtrip to Sarajevo. This city of unique locality and broad global relevance became a living platform for learning and knowledge exchange between a group of LSE Masters students and University of Sarajevo PhD candidates. Learning from a multidisciplinary cohort of speakers, the discourse stretched across themes from history and politics, to urban planning, architecture and migration; offering a mirror to reflect on the city’s challenges and opportunities in the aftermath of twentieth century socialism and war. Inspired by a multi-layered Sarajevo rich with possibility, despite its discordant past and uncertain future, Sofia Garcia and Bronwyn Kotzen initiated and project co-ordinated the LSE Cities online publication Reconstructing Sarajevo: Negotiating Socio-Political Complexity. In bringing to light a city that is both investing and reflecting on the long-term impacts of urban transformation, the publication delves into the contested urban reality brought about by profound socio-political layering. Converging discourse from academics, planners, architects and students, this initiative aims to work towards an understanding of the link between politics, space, and society in the sustainable urban development of Sarajevo. Through academic essays, written dialogues and urban design proposals, Reconstructing Sarajevo: Negotiating Socio-Political Complexity frames how the city has evolved over time, across different powers, cultures, influences and points of collision, simultaneously recognising how they are beginning to metamorphosize in the current age. While some pieces outline the political processes which have shaped the complex and fragmented urbanity of BiH and Sarajevo in particular, others –in reflecting upon the built form- deal with the more tangible processes of architecture and city making. Negotiating the future of this multi-ethnic and multi-layered city requires a nuanced reading of its past with a view to decipher how best to govern, design and live in a more cohesive city of plurality. Bronwyn Kotzen holds a masters in architecture from the University of Witwatersrand, South Africa and a masters in Social Science from the London School of Economics, United Kingdom. Her work in both academia and practice, as a social scientist and architect, focuses on the interstices between governance, informality and the built environment in rapidly developing urban African centres. Based in Lima, Peru, Sofia Garcia is a social scientist specialising in urban studies, and has recently graduated from the London School of Economics with an MSc in the Cities Programme. Her work, both practical and research oriented, specialises in social development, governance and public policy both in urban and rural settings in Latin America with a particular emphasis on Peru. This entry was posted in Bosnia, Bosnia and Herzegovina and tagged architecture, Bosnia, Bosnia Herzegovina, Bronwyn Kotzen, capital, cities, Fran Tonkiss, Herzegovina, LSE Cities, Sarajevo, Sofia Garcia, urbanism, war. Bookmark the permalink.